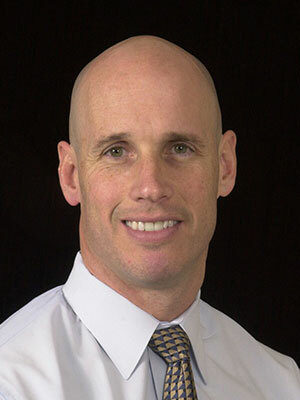 Dr. Stan Marks graduated from the University of Pretoria, South Africa, and completed an internship in small animal medicine and surgery at the University of Missouri, Columbia, a small animal internal medicine residency at the University of Florida and an oncology residency at the University of California, Davis. He received his PhD degree in Nutrition from the University of California, Davis, where he is currently a Professor in the Department of Medicine and Epidemiology and a Diplomate of the American College of Veterinary Internal Medicine (ACVIM) in the subspecialties of internal medicine and oncology, and a Diplomate of the American College of Veterinary Nutrition (ACVN). He is the Director of the Companion Animal Gastrointestinal Laboratory that focuses on furthering our understanding and knowledge on the diagnosis and management of bacterial-associated diarrhea. In addition, Dr. Marks has research interests in the diagnosis and management of dysphagia in dogs. Dr. Marks has received numerous student teaching awards and was honored to be selected the favorite small animal lecturer at the North American Veterinary Conference in 2003 and the Quebec VMA Conference in 2012. This case-based presentation will highlight the rationale and implementation of dietary fat restriction for dogs with a variety of GI disorders, including intestinal lymphangiectasia, delayed gastric emptying, gastroesophageal reflux, pancreatitis, and acute gastroenteritis. Emphasis will be placed on optimizing diet selection based on the level of dietary fat and other dietary components. 1. Recognize the specific indications for implementing dietary fat-restriction in dogs with a variety of GI disorders. 2. Be able to calculate the amount of calories from fat in the diet and understand the limitations of comparing fat on an as-fed basis or dry matter basis. 3. Know examples of commercially-available fat restricted diets and the level of fat restriction afforded by the different diets.